Make Your Library Future Ready! 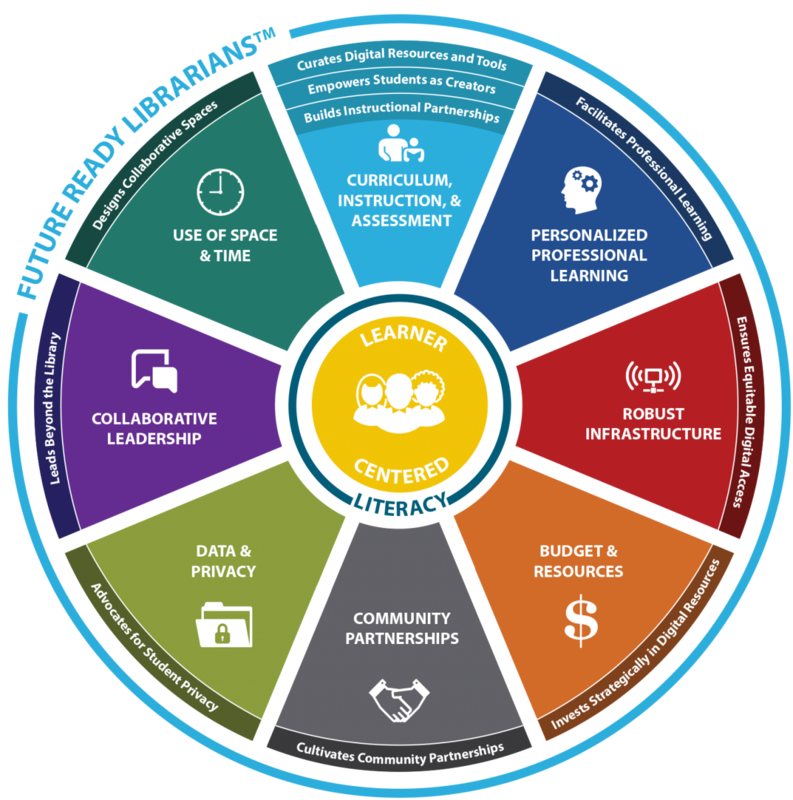 Use this Future Ready Librarian tool to guide the integration of your long-range library plan into your district Digital Learning Action Plan, built around Wisconsin's Digital Learning Plan and the nationally recognized Future Ready Framework. I am your resource for consultation, assistance, and leadership with school library programs. I am passionate about making school library programs Future Ready with robust centers for inquiry and collaboration providing equitable access for all Wisconsin students and staffed by quality professional school library media specialists. Please contact me using the information below if you have questions about any of the information or links on this page. The WI DPI School Libraries PLC provides an opportunity to share information, curate resources and develop our collective wisdom while upholding the standards of respect and quality. This is an open space for working together to ensure all Wisconsin students have equitable access to professional teacher librarians and high quality, Future Ready school library programs. Follow us on Twitter @WisDPISchLibs! Check here for quick school library news and updates and make connections with others.